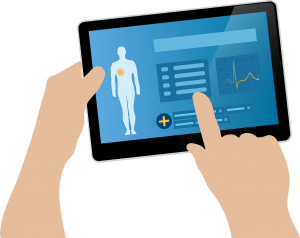 We develop EHR/EMR systems for Healthcare organizations to help in automating patient care workflow, improve collaboration and provide real-time access up-to-the-minute for better diagnosis. With our decade of healthcare software development and integration experience, we have the capability to develop technologically progressive, easy-to-install and simple-to-use EHR/EMR systems, having the ability to access all your patient health records on demand, either through your smartphone, tablet or any web browser etc. We have interfaced EMR/EHR with McKesson, HBOC, Cerner, Allscripts, EPIC, eClinicalWorks, Siemens, Athena, Kareo and many more services. Extension Services Mobile Integration, Cloud Enablement etc. Meaningful Use EMR Software & Implementation services. Streamline your practice operations through Simple & Intuitive role-based workflow, Improved care management, Reduced administrative burden, Vital signs, and lab data view. MU reporting and compliance: Improved practice efficiency & affordable care, Rich and intuitive user experience. Provide a connected healthcare experience through Real-time patient data access at the point of care and Mobile integration. We also support Allergy, Bariatric, Geriatrics, Immunology, Nurse Practitioner and Nursing practices, Plastic Surgery, Optometry, Osteopathy, Radiology, Sports Medicine, etc. Technosoft specializes in extracting, analyzing and converting data from all types of Electronic Medical Record Systems. We offer a complete range of data conversion services, including data extraction, formatting, mapping and import for both discrete and non-discrete data. We work with you to explore all of the options available for your EMR conversion to help you make the best choice to fit your needs. Our EMR Conversion services include Data Extraction, Formatting, Mapping, Importing etc. Our developed EHR/EMR systems meet all the Stage 1 criteria for Meaningful Use (MU) to qualify for the incentive payments available under the Medicare and Medicaid EHR incentive programs. To assist you in being successful at meeting the Stage II and III criteria, Technosoft offers consultation services for the implementation of MU criteria and ongoing monitoring. To integrate your EHR with the industry’s most popular and affordable cloud-based billing services, click here. Whatever you need to run your practice at optimal costs, you can depend on us to provide software, hardware, and services including Medical Billing, Coding and Integration Solutions. We combine technology with our experienced resources to deliver cost-effective medical billing and compliance services and solutions that help optimize your revenues. We can provide technical consultancy, further R&D services, as well as help in developing EMR/EHRs at a very affordable price. For details contact us.